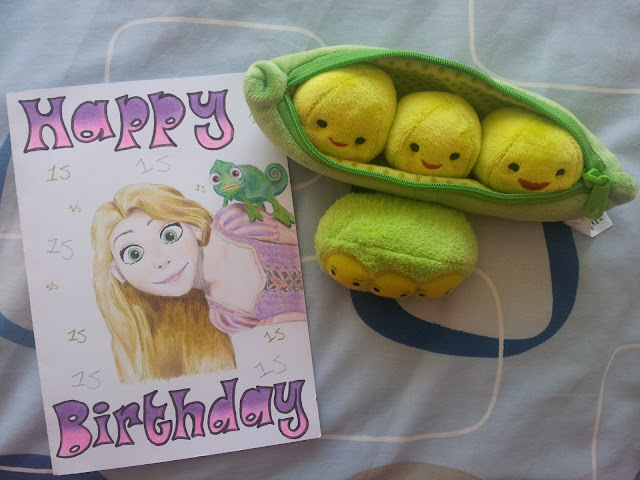 Holly got me the peas, the ones from Toy Story 3! Right, this might seem weird to you, but we are both obsessed with them! 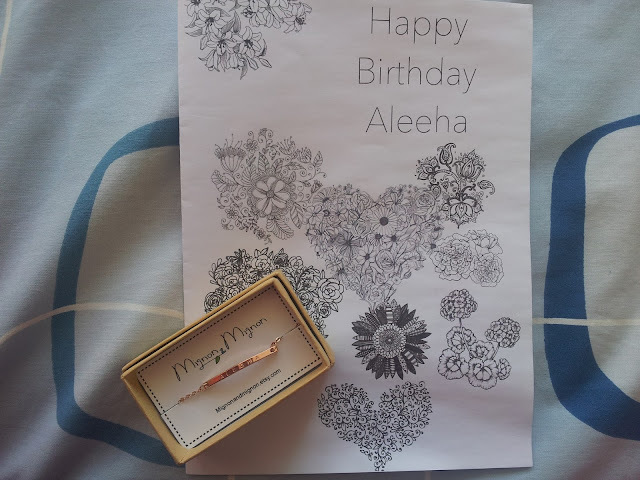 They are so cuuuuttteeeeee and there's just a whole other story behind why she got me them for my birthday, but I'll save that one for another day. Holly also got me a screen cleaner that is a mini version of the peas! Oh... and then there's obviously the hand drawn card (... I know she's err pretty good at art, huh) and it's Tangled... because I'm obsessed with that film! Lucy made like a scrapbook type thing with loads of pictures of all of us together and it's just full of the most amazing memories! I'll love looking back at them when I'm older, Lucy seriously thinks of the most thoughtful presents ever! 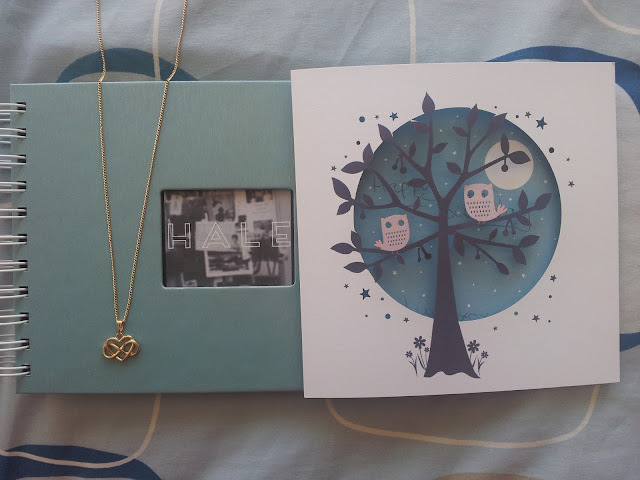 She also got me a gold necklace as well with the infinity symbol inside the heart. 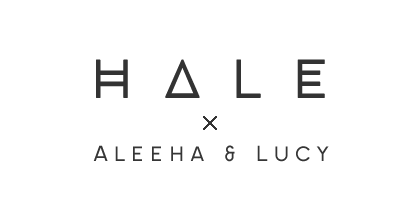 As you can probably tell from the blog header, the infinity symbol is kind of like our I don't know but it's just a HALE thing okay! Eleanor got me the prettiest bracelet in the world! Like literally.... I love it so much! It's rose gold and it's a chain with a thin metal bar that says my name on it. On the back it says HALE and it's just one of those things that I know I will be wearing so much! I love simple jewellery and it's rose gold so I mean.. what's not to love about it? !